Kandi - What a beautiful family and gorgeous images! Such tender moments captured. Your works is stunning and I love your flower shots! Keep up the good work! Linda - Every image is precious. That beautiful smile on the Charlee’s face and the two sisters together, makes my mama heart beat faster. I know this family is thankful for your beautiful work. Lara - Stop it!! These are so sweet. Mama looks AWESOME!!! Love these!! Emma Hutchinson - Stunning maternity and newborn family portraits Lindsay, they are just perfect! Natasha Wiening - Lindsay, you captured this little princess beautifully and the flower arrangements are just perfect! I love your newborn photography. Kandi - What a beautiful newborn baby and family! You captured her perfectly!! I love how you use the flowers and textures and make it your own. Great job, Lindsay! Lorena - LOVE these newborn pictures! I especially love the pink flokati. So sweet! Linda - Beautiful little newborn and family. I love the precious family images you captured for them. Kandi - Lindsay, your work is flawless and stunning! You have such an eye for creating beautiful set ups for each pose. Such a sweet baby and you captured him perfectly. Linda - The rich colors you choose for your little newborn boys and the timeless images your provide a family are wonderful. Thank you for sharing your work with us, such talent. Jen - Precious baby boy and your photos of him are just perfect!!!! These parents must be so thrilled!!! Natasha Wiening - Lindsay, these newborn photos are incredible. I just love all the variety and he is super cute in every pose!!!. I’m sure his parents are thrilled with the results! Eastern Panhandle is lucky to have such an incredible newborn photographer. lorena - Beautiful newborn images! He looks so content. Mom and dad are sure to love them. Kandi - Baby Emma is an beautiful newborn and you captured some amazing images of her and her precious family!Love your great selection of adorable headbands ….you are so creative! Linda - Such a pretty little girl and you captured her so well. Mom and Dad Congratulations and thank you for your service! Tessa - Oh my goodness!! What a sweet, adorable baby and that soft purple material you used for this newborn session…..LOVE…just perfect in every way. This baby will love looking at these photos when she is older of her family enjoying their first days together. Natasha Wiening - Wow!Wow! Wow! These newborn photographs are just gorgeous. My favorite one is the little girl in the grey flokati, she looks so peaceful and I think it would make such a great canvas! Lara - I literally couldn’t pick a favorite. So many great pictures. What an absolutely adoreable little one. Kendra Howlett - Such stunning newborn and family photos! In love! They are so timeless and precious. Heather - She is absolutely stunning! Amazing senior images Lindsay! Jennifer Pondillo - WOW! Stunning beauty. Great diversity in images! Emma Hutchinson - What a stunning young lady she is Lindsay, you have captured her senior portraits perfectly! Kandi - What a beautiful high school senior! Your images are remarkable! Love your work, Lindsay! Natasha Wiening - WOW, these images are incredible and so natural! You are so extremely talented Lindsay, I am sure this girl loves them as you have totally captured her beauty! Well done! Tessa - Gorgeous images infused with beautiful light and color!! 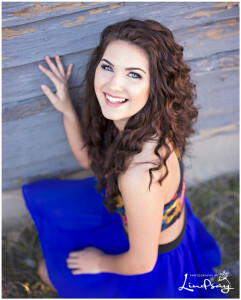 This senior is stunning and you have done an amazing job bringing out her inner beauty and personality. Love! © 2016 Photography by Lindsay - Portrait photographer serving Martinsburg / Eastern Panhandle West Virginia - Specializing in Newborns, Families, Kids, and Seniors|ProPhoto theme by NetRivet, Inc.